Hi all. Sorry for doing the repost thing, but it’s been a very busy week and I’m not feeling all that well. I’m having trouble shaking a cold I’ve had for a week now. In fact, just when I thought I was OK, it came back stronger than before. Hopefully be back with something new on Sunday. Jellyfish seemed poised for big things in the summer of 1990, until a darker, more aggressive noise from up the Pacific Coast elbowed them aside. Their meta-pop – pop songs written about pop songs, with a pervasive sense of irony and a sense that they weren’t taking any of this too seriously – just didn’t catch on. And their Cat in the Hat threads and polka dots looked a little silly on MTV next to Nirvana and AiC. They looked like Pearl Jam’s Jeff Ament, only even more ridiculous, if you can imagine such a thing. They became instead a cult band, loved by a devoted few. The band’s main men – drummer/lead singer Andy Sturmer and keyboard player Roger Manning Jr – were never ones to disguise their influences: they liked the Beach Boys, Queen, Paul McCartney, Harry Nilsson and Badfinger, and didn’t care who knew it, producing blatant homages to their heroes and performing their songs in concert. While their debut album Bellybutton combines all of these influences into something somewhat unique, their 1993 follow-up, Spilt Milk, is more of a straight love letter to Queen and the Beach Boys. Jason Falkner (a cult hero himself) and his temporary replacement Eric Dover (later of Slash’s Snakepit, of all things) were gone by now, so the guitars – beefed up since Bellybutton, which led some to conclude they were chasing the grunge trend, a ridiculous conclusion – were played by Lyle Workman (Sting, Todd Rundgren, Beck, Frank Black) and producer Jon Brion (Aimee Mann, Fiona Apple, Beck, Elliott Smith). There was a lot of production and arranging talent on board, but a lot of strong opinions also, which can lead to creative paralysis and a complete lack of momentum. Leaving aside the band members and hired players, any one of whom could have been the lead producer on the project, also on the team were Jack Joseph Puig and Albhy Galuten, who had succeeded Arif Marden as the Bee Gees’ producer during their disco-era records and had serious hit-making pedigree. No wonder it took them a couple of years to put it all together, by which time they were even more out of step with mainstream rock music than they’d been in 1990. The album received rave reviews, was praised to the skies by fellow musicians who shared their outlook, but went nowhere commercially and ended up in the bargain bins after a few months. Such an expensive flop did not sit well with the record company and Jellyfish were effectively done. Sturmer and Manning went into production – what else? – as did Jon Brion. Joining a Fan Club sounds bigger and grander, brasher and glammier, than anything on Bellybutton, and the song’s knotty structure and somewhat inelegant left turns work surprising well; the band play through it all with aplomb and they work up the biggest head of steam they ever managed in the studio. Unfortunately, though, Spilt Milk sounds suffocating – the low end is flabby and overdone, and towards the album’s end, you find yourself wishing for something breezier and lighter on its feet, in the manner of Bellybutton. Maybe this contributed to its commercial failure, but I suspect it had more to do with its sheer unfashionability. A few years later it might have found a receptive audience among the people who bought albums by Aimee Mann and Fiona Apple (whether Jon Brion developed his production/arrangement style before or after he worked with Jellyfish is a fascinating question, given the overt similarities between them), but at the time a wide audience didn’t exist for a pop record this knowing and meta, where every song seems to exist inside a series of quotation marks. Andy Sturmer did have the gratification of having Joining a Fan Club reach a new audience when it was recorded in 2004 by Japanese pop duo Puffy Ami Yumi, whom he’s produced since the mid-nineties. But I’ll take the original please. This entry was posted in Music and tagged 1990s, Aimee Mann, Albhy Galuten, Alice in Chains, Andy Sturmer, Arif Marden, Badfinger, Beach Boys, Beck, Bee Gees, Bellybutton, Cat in the Hat, cult band, Elliott Smith, Eric Dover, Fiona Apple, flops, Frank Black, glam rock, grunge, Harry Nilsson, Jack Joseph Puig, Jason Falkner, Jeff Ament, Jellyfish, Joining a Fan Club, Jon Brion, Lyle Workman, meta-pop, Nirvana, Paul McCartney, pop songs about pop songs, Puffy Ami Yumi, Queen, Roger Manning Jr, San Francisco, Seattle, singing drummers, Slash's Snakepit, Spilt Milk, Sting, Todd Rundgren, west coast on October 15, 2015 by rossjpalmer. In 1969, the outrageously talented multi-instrumentalist, singer, songwriter and bandleader Sylvester ‘Sly Stone’ Stewart, was one of the most celebrated figures in popular music. His band had triumphed at Woodstock, their seemingly warm-hearted, outward-looking psychedelic soul making even Motown seem old hat and forcing them to change their game and turn increasingly to the visionary producer Norman Whitfield. Their late-sixties hits, calling for love, peace, understanding and integration, were made all the more powerful by the mere sight of Stone and his band on stage: they were both multi-racial and multi-gender in an era where such things were extremely uncommon. 1969, remember, was the year of Kent State and just one year after the assassination of Martin Luther King. 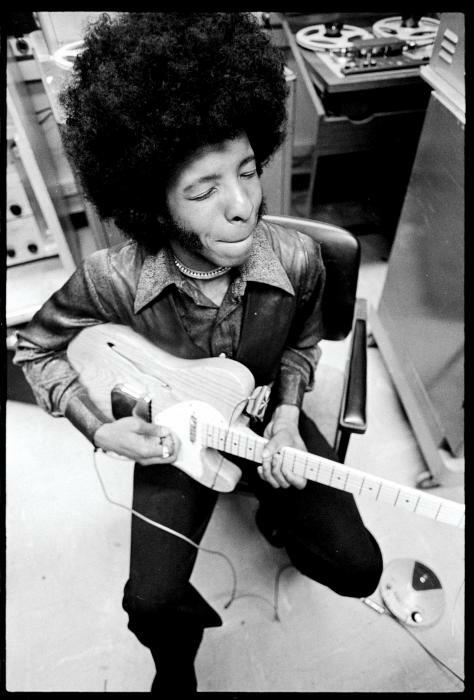 But by 1971 Sly Stone had retreated to a very strange headspace. Holed up inside an LA mansion belonging to John Phillips from the Mamas and the Papas, Stone sacked half of his band (the white members, supposedly at the insistence of the Black Panthers, but also master bassist Larry Graham, upon whom Stone apparently took out a contract), surrounded himself with goons, dealers, pimps and hookers, and haphazardly set about making what would be his masterpiece, There’s a Riot Goin’ On. Recording was undertaken at the Record Plant in Sausalito near San Francisco, in a room Stone had had installed there for his own use. Progress was glacial, with Stone playing much of the record himself, or inviting guests in at the expense of his bandmates (Bobby Womack, for example, is much in evidence on guitar), cutting tracks and recutting them, over and over. The protracted nature of the recording took its toll on the master tapes, and they completely lost their high end through wear and tear. The resulting murk – in a happy accident – suited his new material perfectly, the cracked and paranoid deep funk shocking those enamoured of his outward-looking pop hits. Family Affair was the album’s most enduring hit (its only hit). But it’s not exactly representative. Riot is not an album of expansive, memorable melodies. Family Affair is one of the few songs to let a bit of light in. For the most part, it’s an intensely claustrophobic album; Christgau nailed it when he called it ‘Despairing, courageous, and very hard to take’. These days, Luv n’ Haight – the album opener – seems to me the most crucial track: all that Riot is, is contained in its churning groove and airless (literally – the mix is dry as a bone) swirl of vocals and wah-wah’d guitars. This entry was posted in Music and tagged 1969, analogue recording, Black Panthers, Bobby Womack, dry, echo, Family Affair, funk, John Phillips, Kent State, Larry Graham, lo-fi, Luv N' Haight, Martin Luther King, Motown, multi-instrumentalists, Norman Whitfield, Record Plant Sausalito, Reverb, Robert Christgau, San Francisco, Sly & the Family Stone, Sly Stone, soul, Sylvester Stewart, The Mamas and the Papas, There's a Riot Goin' On, wah-wah, Woodstock on April 24, 2014 by rossjpalmer. Jellyfish seemed poised for big things in the summer of 1990, until a darker, more aggressive noise from up the Pacific Coast elbowed them aside. 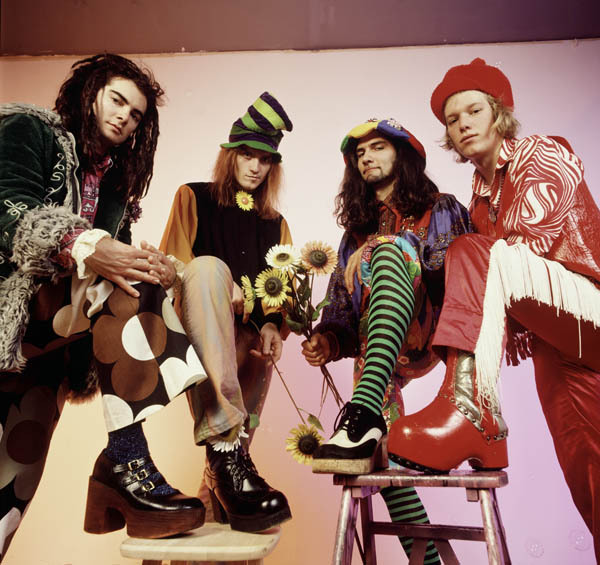 And their Cat in the Hat threads and polka dots looked a little silly on MTV next to Nirvana and AiC: they looked like Jeff Ament, only even more ridiculous, if you can imagine such a thing. Jason Falkner (a cult hero himself) and his temporary replacement Eric Dover (later of Slash’s Snakepit, of all things) were gone by now, so the guitars – beefed up since Bellybutton, which led some to conclude they were chasing the grunge trend, a ridiculous conclusion – were played by Lyle Workman (Sting, Todd Rundgren, Beck, Frank Black) and producer Jon Brion (Aimee Mann, Fiona Apple, Beck, Elliott Smith). There was a lot of production and arranging talent on board, but a lot of strong opinions also, which can lead to creative paralysis and a complete lack of momentum – as well as the players, any one of whom could have been the lead producer on the project, also on the team were Jack Joseph Puig and Albhy Galuten, who’d replaced Arif Marden as the Bee Gees’ producer on their disco-era records and had serious pedigree. No wonder it took them a couple of years to put it all together, by which time they were even more out of step with mainstream rock music than they’d been in 1990. The album received rave reviews, was praised to the skies by fellow musicians, but went nowhere commercially and ended up in the bargain bins after a few months. Such an expensive flop did not sit well with the record company and Jellyfish were effectively done. Sturmer and Manning went into production – what else? – as did Jon Brion. Joining a Fan Club sounds bigger and grander, brasher and glammier, than anything on Bellybutton, and the song’s knotty structure and somewhat inelegant left turns work surprising well; the band play through it all with aplomb and they work up the biggest head of steam they ever managed in the studio. Unfortunately, though, Spilt Milk sounds suffocating – the low end is flabby and overdone, and towards the album’s end, you find yourself wishing for something lighter and breezier in the manner of Bellybutton. Maybe this contributed to its commercial failure, but I suspect it had more to do with its sheer unfashionability. A few years later it might have found a receptive audience among the people who bought albums by Aimee Mann and Fiona Apple (whether Jon Brion developed his production/arrangement style before or after he worked with Jellyfish is a fascinating question, given the overt similarities between them), but at the time a wide audience didn’t exist for a pop record this knowing and meta, where every song seems to exist inside a series of quotation marks. This entry was posted in Music and tagged Aimee Mann, Alice in Chains, Andy Sturmer, Badfinger, Beach Boys, Beck, Bellybutton, Elliott Smith, Fiona Apple, Frank Black, grunge, Harry Nilsson, Jason Falkner, Jeff Ament, Jellyfish, Joining a Fan Club, Jon Brion, Lyle Workman, meta-pop, Nirvana, Paul McCartney, Pearl Jam, Puffy Ami Yumi, Queen, retro, Roger Manning Jr, San Francisco, Seattle, Slash's Snakepit, Spilt Milk, Sting, Todd Rundgren on January 19, 2014 by rossjpalmer.